These steels contain a high percentage of chromium and sometimes other alloys and have been designed to prevent different corrosion. There are two kinds of corrosion dry corrosion (often named high temperature corrosion or oxidation) and wet which can be observed in liquid environments (or when the metal becomes coated with liquid condensate). 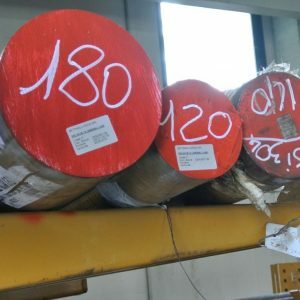 The hot corrosion resistance of stainless steels is connected with the creation of a thin and adherent passive surface layer, which further attack against the material. The wet corrosion process is by contrast an electrochemical process and the corrosion resistance of stainless steels is due to the tion of a passive surface layer which, in order to take shape, requires a chromium content of about 12%. The formation of this “passive” state deeply changes because of various factors such as: steel type, its chemical composition, state, heat treatment conditions, surface finishing, and so on. For each type of stainless steel this layer has to be continuous and adherent to the surface, non-porous and insoluble, able to itself every time it breaks down if exposed to air or to the action of oxidizing environments. The structure of these metallic materials is extremely important and determines their classification into the following groups: martensitic, austenitic, austenitic-ferritic and precipitation hardening. These steels have no critical points and their structure is guaranteed by a low carbon content and a high percentage of chromium. They have a good heat resistance and are suitable for oxidizing environments. They are used even at ambient temperature. Their toughness drops considerably at low temperatures. They do not have critical points and are not, therefore, ing. They are normally used in a recrystallizing annealed state. 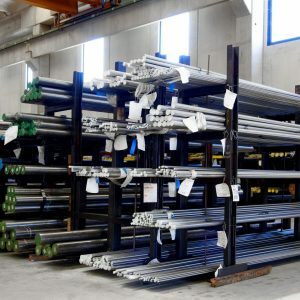 Their name comes from the fact that they are the only stainless steels that have critical points (Ac1,Ac3) and therefore, after hardening, they adopt such a structure. Because of the chromium presence both the isotherm and anisotherm curves shift towards the right and for this reason the martensitic structure can also be obtained through air cooling. 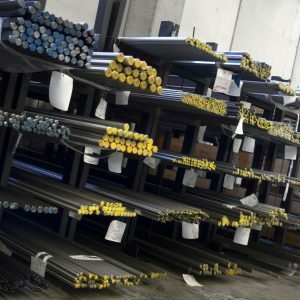 As for the steels for quenching and tempering, their best properties can be obtained after quenching and tempering treatment; it is very important to Owa this last treatment because of the precipitation of chromium carbides that can alter their corrosion resistance. The austenitic structure is stable at ambient temperature thanks to the simultaneous presence of chromium and nickel together with the low carbon content. They are the most commonly used in several aggressive environments, at low and high operating temperatures. Solubilization is their usual heat treatment state. 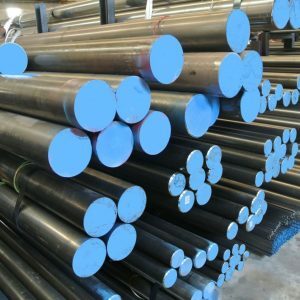 The use of cold-drawn steel bars is very Common because this cold process gives the desired bench hardening, enhancing the resistance characteristics.